Having an online presence for any company or business helps generate additional revenue opportunities, mix and manage potential workflow, and a silent security for the Brand being promoted. 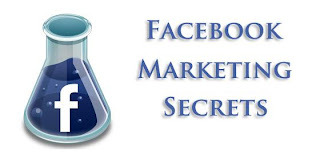 Facebook has become the most prominent social networking site for every online marketing campaign. The quality of buzz that Facebook generates is simply awesome. The power of Facebook is too some extent undermined by several online marketers who simply use it for spamming purposes. Load 'em up - First, we need a Facebook Page to initiate our online marketing process. Businesses usually create their own Brand Pages to interact with consumers and take in their responsive feedback. In Facebook, the consumer decides whether or not to Like the page or just move on. If they hit the Like button then they get notified about the updates each it is released. Attracting Potential Customers - Now that we have a Facebook Page, it is time to hit the road and pick up potential customers that can get transformed to long term Brand Loyalty. In this aspect, Facebook provides the access to invite all your Friends or specifically only those that might be interested. Nowadays, companies advertise their Facebook Page urls all over the place. Increase Productivity by Engaging Customers - Facebook Pages are created based on some pre-determined rules for effective Brand building. It can be related to creating audience for a new blog. Maintaining the frequency for constant updates is quite important. Failure to do so will result in the page appearing to be stale and boring. Facebook Marketing is changing its overall dynamics on a regular basis. The content that was published a few hours ago gets viewed and copied in a matter of seconds. Thus content appears stale by the time it reaches the Search Engines. Companies with big budgets usually hire specific Social Media Agencies who work round the clock to maintain and manage the various Facebook Marketing aspects.